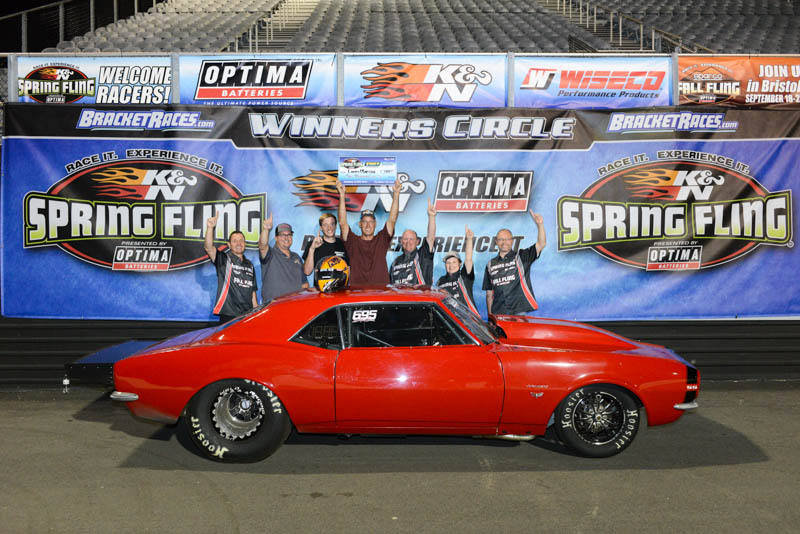 spring fling Galot May 1-5 2018 K&N SPRING FLING GALOT – TUESDAY RESULTS Nine years ago, co-promoters Peter Biondo and Kyle Seipel introduced their Spring Fling brand of high-dollar bracket racing to the masses. That first event in Bristol, Tennessee found the best bracket racers in not only the United States, but also Canada and Mexico, coming out in droves to support an event where fun was a key ingredient. 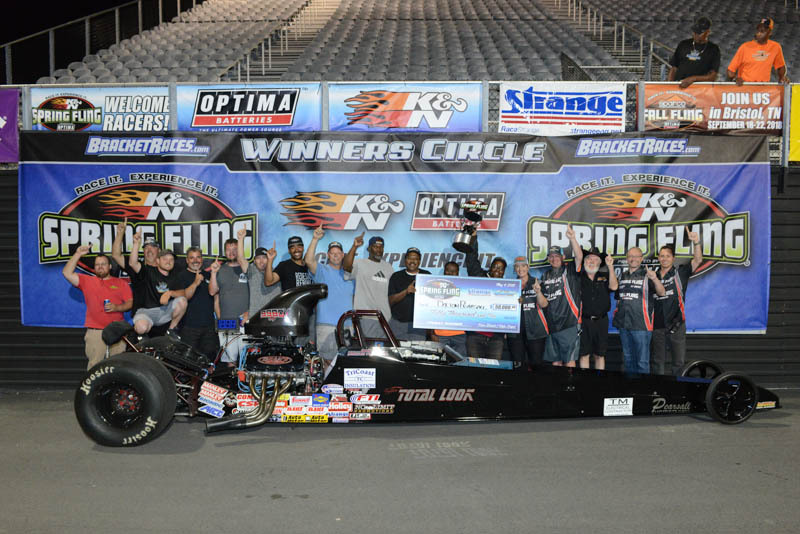 With the Bristol event now moved to the better climate of September, it left an opening in the Spring Fling schedule which was filled with the move to Galot Motorsports Park in North Carolina. Today began the K&N Spring Fling presented by Optima Batteries at Galot and is the first in the Spring Fling brand to limit entries by way of a pre-entry system. "The 'Fling brand has been growing each year and we have always strived to provide our customers with the ultimate experience," said Biondo. "In that light, we chose to limit both of our east coast events to allow for that." Pre-entries opened up on February 1 and within hours, the field was filled with 350 racers. While in most cases, rules are very simple and typical of most bracket events, the one rule which all 'Fling races have adhered to is that a car can only go down the track one time per round. In essence this means that when 350 racers sign up, there will be 350 different cars, albeit in some cases drivers will enter and drive two cars. Tuesday May 1st; or May Day, a world-wide celebration of worker's rights, began here at Galot Motorsports Park with a Test & Tune session followed by an elite 32-car field in the Super Tuesday Racetech/American Race Cars Dragster Shootout where both the winner and runner-up receive a new dragster. After two rounds of eliminations with eight racers left for the quarterfinal round, it was Kevin Heffington all the way in from Washington state, Jeff Serra, Jake Woodring, former 'Fling winner Shane Maddox, Mia Tedesco, another 'Fling winner in Don Hansen, Timmy Miller and Cameron Manuel. Quarterfinals; Tedesco defeated Maddox; Washington’s Heffington hanging tough over a red-light by Hansen; Serra took out Miller; and Woodring defeated Manuel. Semifinals; Tedesco turned on the red-light by -.001 to move Mr. Washington State into the final, while Serra and Woodring battled it out with Serra seeing the win light on in his lane. Both racers came back to face off as the winner received his choice of either an American Race Car or a Racetech. And for the first final of the week, Heffington left the line first in relation to his dial-in, but it was Serra with the reaction time advantage and the win light. 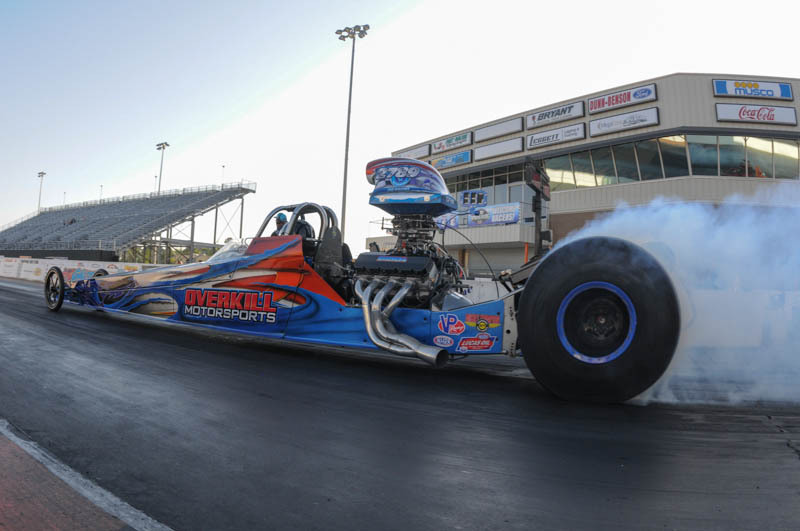 For his win, Serra chose to leave with the Race Tech dragster, while Heffington’s still gets to go back home to Washington with a new American Race Cars dragster. Yukon Gear & Axle Wednesday will dawn with a $15,000-to-win race beginning at 8:30 am with a single time run followed by eliminations. Beginning with first round today all the action is streamed live thanks to JEGS and Hoosier Tire at MotorManiaTV.com. For more info and results, visit www.bracketraces.com and on Facebook. K&N SPRING FLING GALOT – WEDNESDAY RESULTS Day 2, but in reality, the first actual day of open eliminations at the K&N Spring Fling presented by Optima Batteries at Galot Motorsports Park. Yesterday was an open Test & Tune session followed by the Super Tuesday American Race Cars/Racetech Dragster Shootout. First up today at 8:30 was a single time shot for all competitors beginning with door cars. One of the many innovative ideas begun by Spring Fling co-promoters Peter Biondo and Kyle Seipel was to separate door cars from dragsters. Door cars are run separate until a winner is crowned after which that person is integrated into the next round of dragsters. That one innovation is probably credited the most with the influx of door cars at high-dollar bracket racing. New this year at the Spring Fling in Galot was the addition of the No Box class, a limited field of 32 No Box entries which are run separately in the same fashion as the Box door cars. After five separate rounds of No Box racing, the winning person is moved into the sixth round of Box cars. Today's No Box winner was Lee Zane from Elmer, New Jersey. Round six with 15 cars left, the remaining racers were Phillip Truitt, Nathan Lilley, Brendan George, Chad Taylor, Mike Barber, No Box winner Lee Zane, John Labbous, Jeff Dobbins II, Kellan Farmer, James DiCiacco, Marty Dabney, Brian Reklaitis, Tim Fletcher, Dan Fletcher and Harold Bell Jr. The survivors of that round were Truitt, George, Barber, Labbous, Farmer, Dabney, Tim Fletcher and Bell receiving the odd car bye, with three of the eight left door cars. Quarterfinals and the door cars didn't fare well. George defeated the door car of Bell; Labbous took out the door car of Barber; Farmer took out Truitt's door car; and finally, Fletcher kept the door car hopes alive with a win over Dabney. Semifinals; Farmer used a perfect reaction time to defeat Labbous and George ran dead on his dial with an "8" to defeat the last remaining door car of Fletcher. For the final round, it was Farmer all the way with the reaction time advantage over George, bringing home the trophy and the $15K to his family's business, Racetech. "This is the first win I have ever had in a big car," said Farmer. "I've won Junior races before but never in a big car. I have give my dad all the credit for teaching me everything I know about racing and business. Thanks go to him and my family for supporting me and all the glory goes to God. This is so amazing." 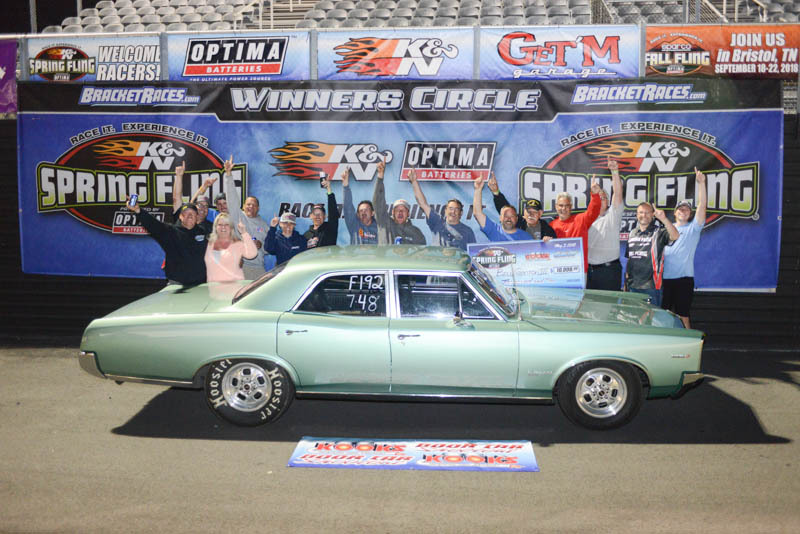 Get'M Garage $20K Thursday opens with a single time run followed by eliminations for $20,000-to-win. With healthy round money in addition to over $50,000 in round prizes and random awards, as is the case at all 'Fling events, the purse is 100-percent guaranteed. MotorManiaTV.com is also continuing to stream the entire event live as it happens thanks to sponsors Hoosier Tire and JEGS. For more info and results, visit www.bracketraces.com and on Facebook. K&N SPRING FLING GALOT – THURSDAY RESULTS Last night's $15K winner, Racetech Chassis' own Kellan Farmer said, "This is so amazing," a sentiment felt by many of the K&N Spring Fling presented by Optima Batteries entrants who made their way from over 24 states, Puerto Rico and Canada to Galot Motorsports Park in North Carolina. 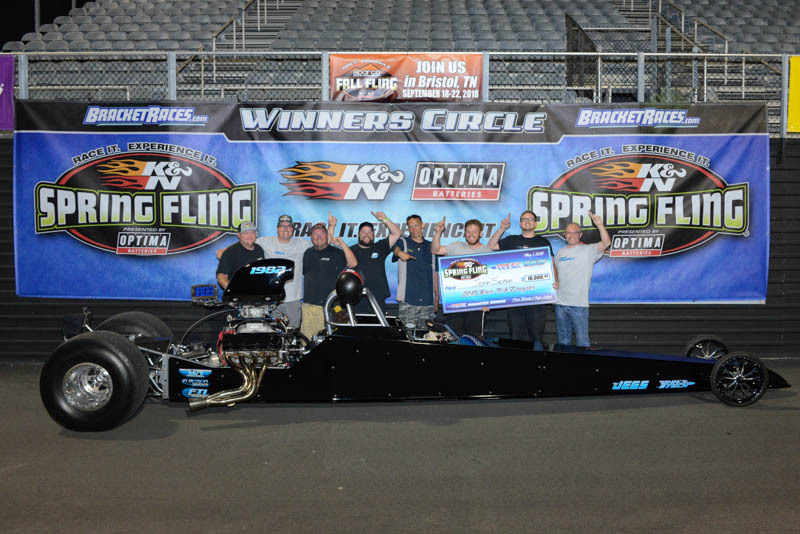 For the past nine years, the Spring Fling brand has been built on five principles; a fair event; fun for the whole family; outstanding customer service; great facilities; and the best value in bracket racing. It's those principles which have built the brand into a major event of the bracket racing year, an event win everyone wants on their resume. Today's event began with a time run for any new entries only followed by eliminations. The day also brought Kooks Headers Door Car Shootout where 32 randomly selected door cars will race for $10,000-to-win later in the day. Kellan Farmer will also have a bounty on his head as the person who defeats him today will earn themselves a Racepak Sportsman Data Logger. Jamie Bridge from Canada sealed that deal when he defeated Farmer in the third round of eliminations. 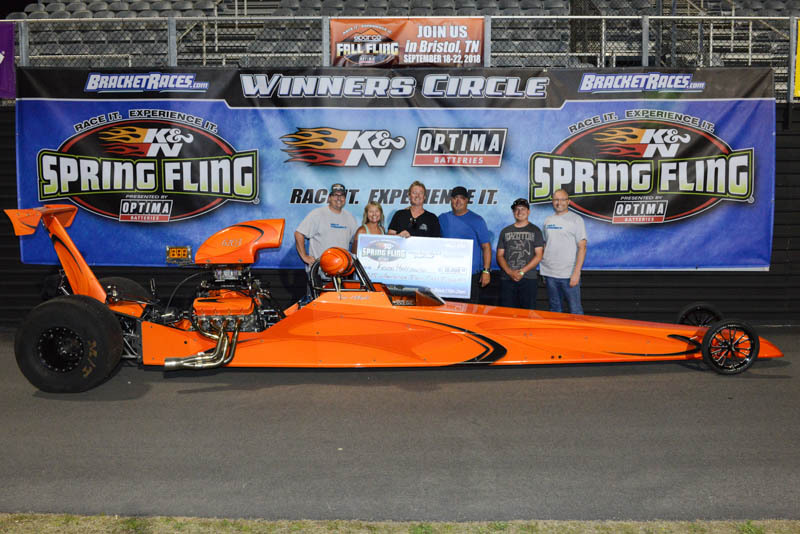 As for the Pro 32 class, the final round came down to last night's Pro 32 winner Lee Zane and "Nasty Nick" Hastings with Hastings taking the reaction time advantage, the win and a $500 bonus, in addition to moving into the sixth round of the Super Pro field. 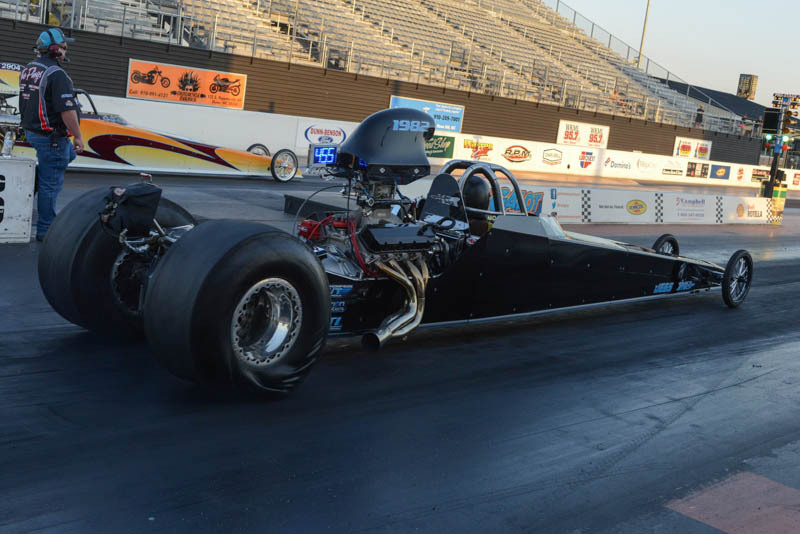 As for the main event, going into round seven found nine survivors; Mia Tedesco in with both her dragster and door car, Pro 32 winner Hastings racing off the bottom bulb, former 'Fling winner Tommy Plott, Bob Engleman, Cody McDaniel, Jamie Bridge, Robert Volger III, and Vince Shrawder. 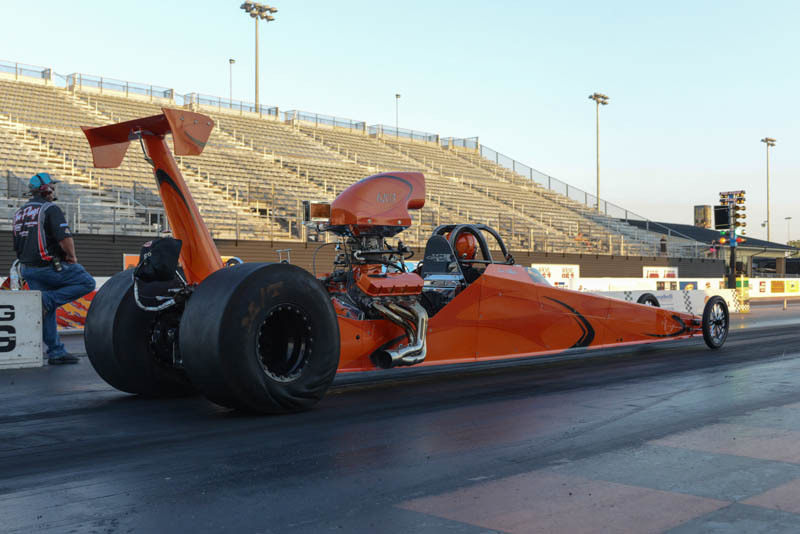 As for the round itself, Tedesco and her door car took the odd car bye run in addition to moving forward into round eight with her dragster. Plott, Engleman, and Shrawder all survived. 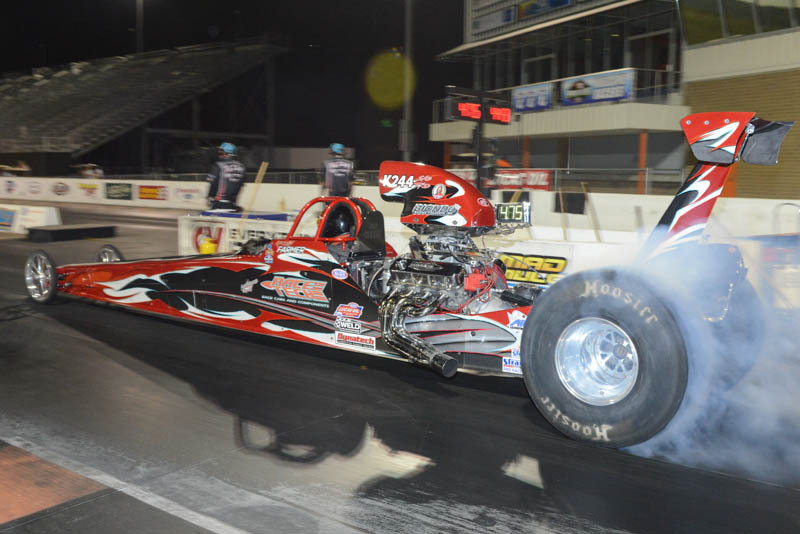 Round eight and Tedesco received the odd car bye run with her dragster to move her into the semifinals. 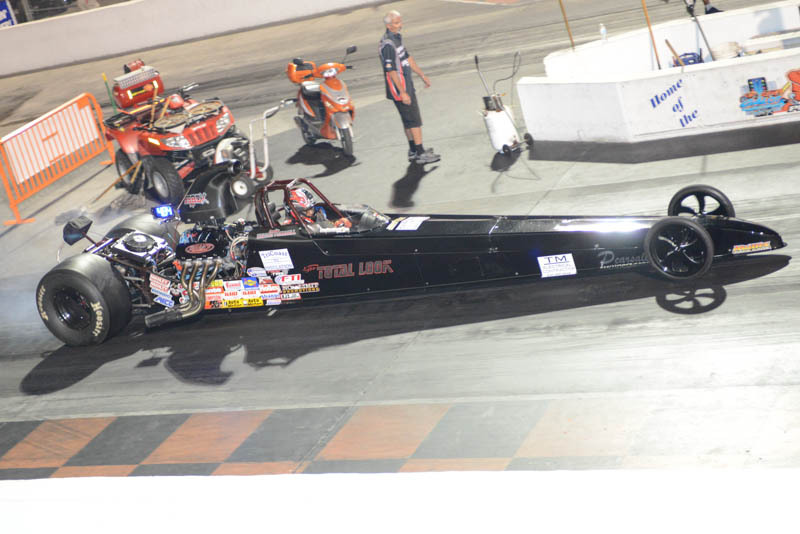 Meanwhile in her door car against Engleman, it was Engleman with the better package to move into the semis. And lastly, Plott made his move for another 'Fling win when he defeated Shrawder. 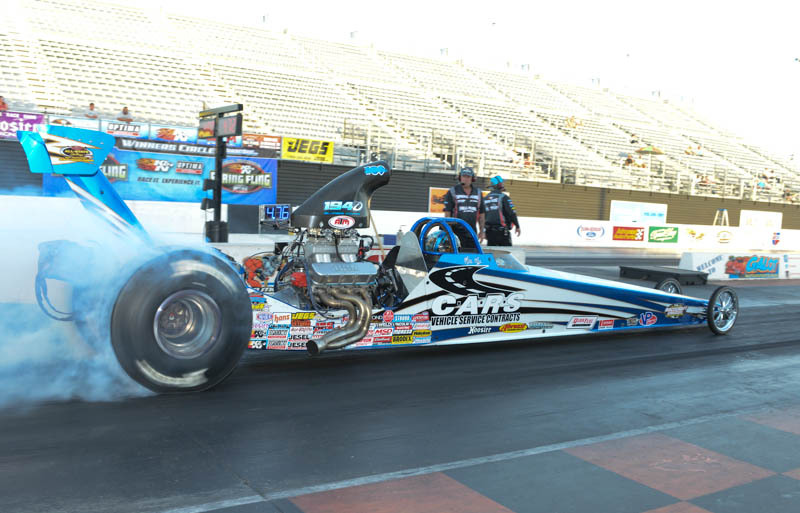 By virtue of that win and his reaction time, Plott will also receive the semifinal round bye to move him to the final round with his door car against either Tedesco and her dragster or Engleman. In that semi, Engleman missed the 'tree with an .058 reaction time while Tedesco used an .011 and a 4.775 on a 4.75 dial to end Engleman's run. Plott took his bye run and we had a door car versus dragster final. Plott and Tedesco, door car versus dragster for $20,000. Only three-thousandths of a second separated them off the starting line, but it was the dragster of Tedesco turning on the win light. With two entries still left in at five cars, Tedesco was definitely staying focused between driving two entirely different types of car. "I had a lot of fun today," she said, "and I think it helped me to stay focused plus my crew did a great job taking care of the cars. We decided to take a break from racing NHRA and do more bracket racing and this is a great event to win and race at. It's like a well-oiled machine." Still to be completed was the Kooks Headers Door Car Shootout. In the semifinals, Bryson Scruggs defeated John Lassiter and Bill Groton III took out Paul Warwick. For the final, Scruggs had a perfect reaction time but it was Groton and his four-door, column shifted Pontiac taking the $10,000 win. Friday will begin with the Spring Fling Reaction Time Challenge followed by the Strange Engineering-sponsored race with an increased $50,000 to the winner. The JEGS and Hoosier Tire sponsored live feed by MotorManiaTV.com continues throughout the event. For more info and results, visit www.bracketraces.com and on Facebook. K&N SPRING FLING GALOT – FRIDAY RESULTS First up on Strange Engineering Friday were seven lucky racers who turned on a .00X reaction time in the Spring Fling Reaction Time Challenge, each receiving a crisp $100 bill for their efforts. 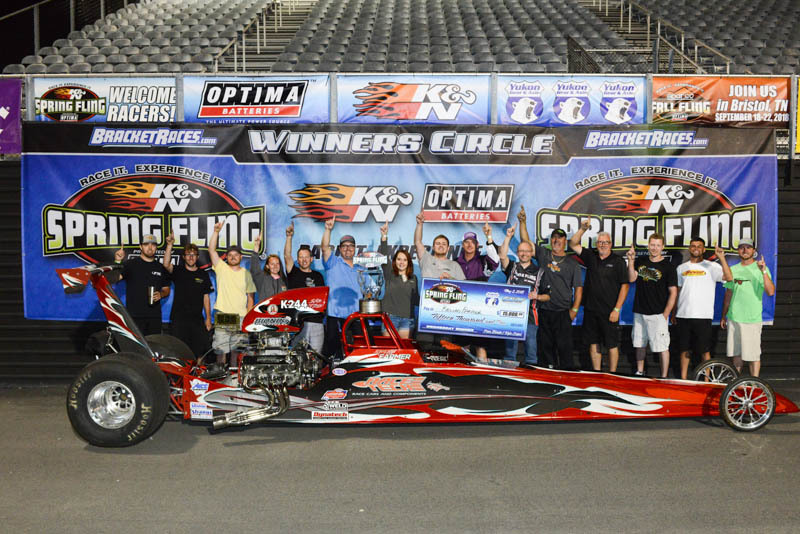 Twenty random racers were chosen for the chance and just those seven; Mark Pittman, Todd Osting, Kent Hanley, Rocky Pintavalle, Kale Hoffman and Troy Williams; were able to escape with some Spring Fling cash before the day even got started. Tonight was also the Sparco Racer Appreciation Barbeque with cooking by famed Chef Anthony (Bertozzi), fresh off his Super Stock win at the NHRA Four-Wide Nationals last weekend. As is always the case and following one of the ‘Fling’s principles; fun for the whole family; the night provided face painting and a magic show for the little ones and maybe even some of the big ones too. With no time trials today, eliminations for $50,000-to-win began bright and early with the bounty, a set of Wiseco Pistons, placed on last night’s winner, Mia Tedesco. John Labbous was the recipient of that award when he bested Miss Mia in the very first round today. With an extra $1,000 on the line going to the Pro 32 No Box class survivor, the final consisted of Seth Phillips and Kevin Pollard with Pollard taking the win and moving into round six of the main event along with the added cash. Round seven consisted of Million Dollar man Jeff Verdi taking out Dennis Helman. Pollard hanging tough off the bottom bulb to defeat Steve Dweck. Carol McCarty defeating Larry Martin, Dalton Pearsall taking out Clayton Roberts and Don Kosanka with the odd car bye run. Quarterfinal round survivors were Pollard, Verdi and Pearsall, representatives from the three different classes run this weekend; No Box (Pollard), door cars (Verdi) and Pearsall the lone dragster left. In the Pollard versus Kosanka match-up, another Spring Fling innovation, TruSTART, changed the outcome. Leaving first, Pollard was -.001 red which typically would have advanced Kosanka. Unfortunately for Kosanka, he was -.012 red which handed the win to Pollard. In the semifinals, both Pollard and Verdi had prior bye runs which left Pearsall to take the odd car bye. Verdi then used a 10-pack (.010 reaction time and dead-on the dial with a "0") to not give Pollard much room, moving the two-time Million Dollar Race winner into the final against Pearsall. For the final, neither racer was giving anything to the other as Pearsall left the line with a .001 reaction time, while Verdi wasn’t far behind with his own .003. But it was Pearsall running closer to his dial to earn himself his very first big trailer check. One more day left, Wiseco Pistons Saturday, just another $20K-to-win race. MotorManiaTV.com has been broadcasting the entire event from start of day until winner's circle celebrations thanks to sponsors JEGS and Hoosier Tires. Visit www.bracketraces.com for results, info and a link to the live feed. 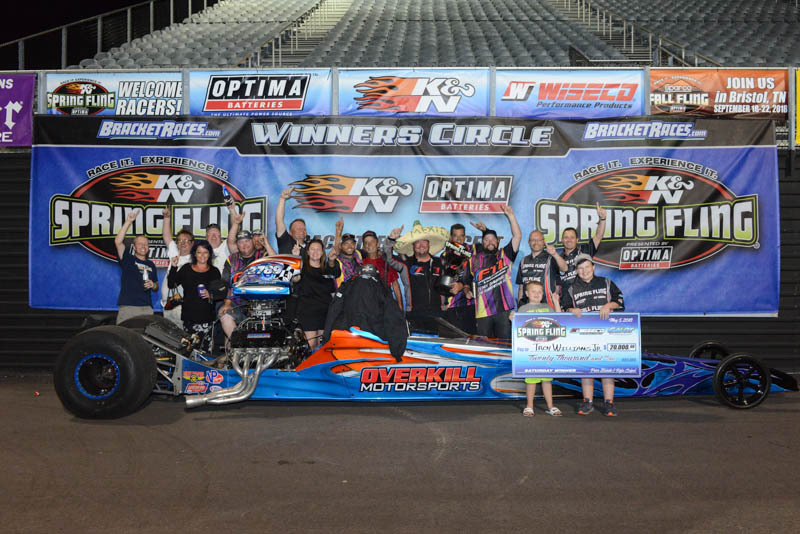 K&N SPRING FLING GALOT – FINAL DAY RESULTS While the partying went late last night at the Sparco Racer Appreciation Barbeque, it certainly must have overflowed into the pit area of last night’s $50,000 winner, Dalton Pearsall. One more day of a $20,000-to-win Wiseco Pistons Saturday race prevailed but not before some housekeeping in the form of a Church Service and the patented Fling Family Photo, a group shot of just some of the entrants and their family and crew. Yesterday also crowned the Brodix Best Package Award winner between the best door car package and best dragster package from Wednesday through Friday, where the winner received a new set of SR20 heads from Brodix. At the 2017 Fall Fling at Bristol, the two combatants at that event, were Nick Hastings in his door car and Numidia Dragway (PA) regular T.C. Smith in the dragster. Smith bested Hasting for the heads and the irony of that event wasn't lost here. The two fighting it out for the heads at this event were Nick Hastings once again and Brian Reklaitis, another Numidia Dragway regular. If that wasn’t enough, the car Reklaitis was driving was a former T.C. Smith car. 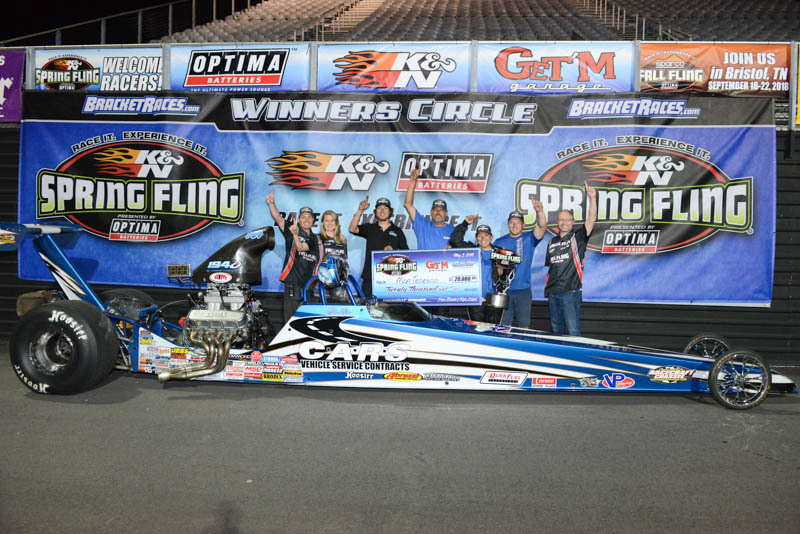 Once again, the dragster prevailed and Reklaitis brought another set of heads home to northeast Pennsylvania. As for the race itself, the JEGS Pro 32 class drivers were absolutely vicious all week, in some cases with packages even better than some Super Pro cars. Today, the final of that class was between two former NHRA world champions in Dan Fletcher and Lee Zane with Fletcher getting the nod to move into the next round of Super Pro where he was dispatched by another champion in his own right, former 'Fling winner Tommy Plott. Round six with 16 cars left, Shane Carr defeated Johnny Ennis. John Taylor Jr. took out Jon Siegel. Mark Siegel defeated Howie Adams. Troy Williams got the best of Frank Duplisses Jr. Kevin Brannon took out Larry Ericksmoen, Larry Martin beat Leon Tynes Sr. Mike Daymude defeated Tommy Plott and finally, Junior Foley defeated Shane Maddox to close out the round. Quarterfinals, the survivors moving into the semis were Williams, Siegel, Brannon and the lone door car of Martin. Semifinals and it was Williams over Martin and Siegel over Brannon. Throughout the weekend, a Swear Jar was instituted for those losing and using… questionable language. It started at the Spring Fling Million in Las Vegas and was resurrected here, In Vegas, over $1,200 was raised and donated to Racers for Christ. Here at Galot, $2,139 was raised on behalf of every racer who unselfishly donated to ArmedForcesRacing.org, an organization which helps with recreational therapy for veterans, a big THANK YOU goes out to each and every one. For the final, after over 5,000 runs made in five days, it was down to the last two, Troy Williams Jr. with a slight reaction time advantage over Siegel, which was enough to propel Williams to his second Spring Fling win. The last award of the weekend was the Todd's Extreme Paint MVP Award voted on by Spring Fling officials and given to the best performer of the weekend. In his very first 'Fling appearance, Larry Martin used numerous late round appearances including a final day semifinal finish to easily earn the award. "This is the first time we attempted to have a pre-entry type of race," said co-promoter Peter Biondo, “and we did it to maximize the experience of our friends, our customers. We're thrilled to be able to have it all work out. But none of this would work without you the racers. We know you have options and we're happy you chose to spend your time with us. Thank you. Next up on the 'Fling schedule is the Fall Fling at Bristol Dragway, September 18-22 and we look forward to seeing each of you again." Stay tuned to www.bracketraces.com for results and announcements. Click here to view the 2017 Spring Fling Galot Race Results.